Steuart Square Condo | Transportation & Location: The Steuart Square Condominium is located in Capitol Hill on 12th St NE between Constitution Ave NE and East Capitol St NE. The nearest Metro is Eastern Market Station on the Blue, Orange, and Silver Lines. The closest grocery stores are P & C Market at 1023 East Capitol St SE and Safeway at 415 14th St SE. Fantastic split level 2 bedroom, 1.5 bath condo. A rare find in a great location. Estate sale, sold AS IS. SO many options, make it your own! The Steuart Square Condominium | Additional Information: Also known as The Steuart Square Condos, The Steuart Square, The Steuart Square DC. 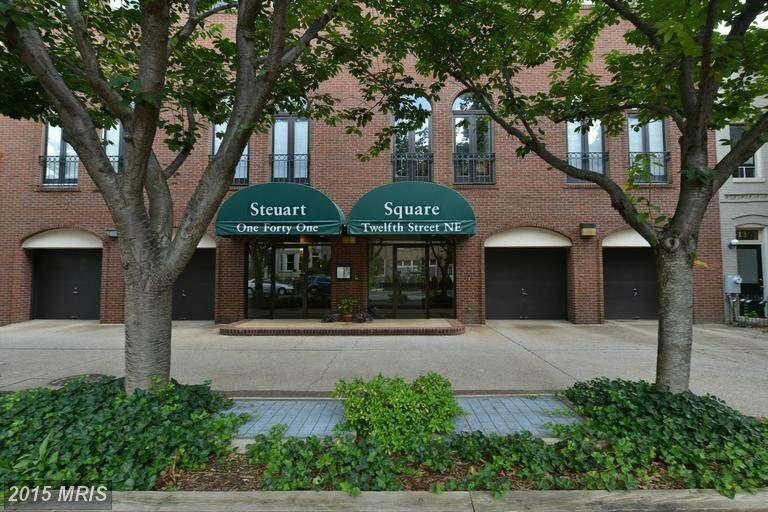 The Steuart Square Condominium is located at 141 12th St NE Washington, DC 20002. Steuart Square Condo | Rules: Pets Allowed, The Steuart Square Condos is self-managed.